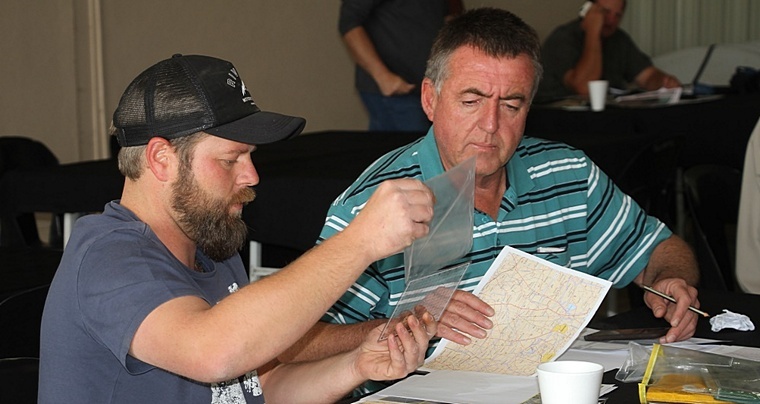 The South African Power Flying Association (SAPFA) together with the Secunda Flying Club organised an extremely successful Navigation Fun Rally on Saturday 30th September 2017. Under the Stewardship of SAPFA's Chairman Jonty Esser who with Sandy Goddard planned & plotted the course and training activities, and together with Chistoff le Grange, the Club's Chairman, a total of 12 entrants were able to partake in the rally. The Secunda club invited other clubs in the region to partake as well with a best club prize also up for grabs, and this year Ermelo and Springs also attended. Jonty arranged for a training session for all those who could attend on the Friday evening, so as to give guidance on how to plot and fly a rally, and provided the plot for the next day. The first aircraft departed just after 10 am on a route that was mostly to the south towards the Standerton area, with not much in the way of ground features to follow, the winter grass and fields together with the dirt roads making the landscape without much contrast to see the map and photo features easily. In the fun rally rules, each turning point has a 15 second window to cross over to attain zero penalty points with a mile wide gate to go through, and along the route around 18 photographs had to be recognised and located on the map, this year being a lot more difficult than in the previous year where one short leg had 4 photos within half a nautical mile of each other, with other legs also having multiple photos to recognise. The weather was quite hazy with wind at around 10 kts, making the navigation exercise somewhat challenging to be able to see in the far field, with the wind gradient at least manageable and not too turbulent. After returning to the field, joining on a long final approach for Runway 11 a spot landing had to be carried out with lines fairly close to the threshold, and with good conditions to land, the scores did not reflect as such, and one of the Slings taking part did a wheelbarrow landing as well, at least a video taken at the landing line could be shown afterwards on how not to try and force a landing. 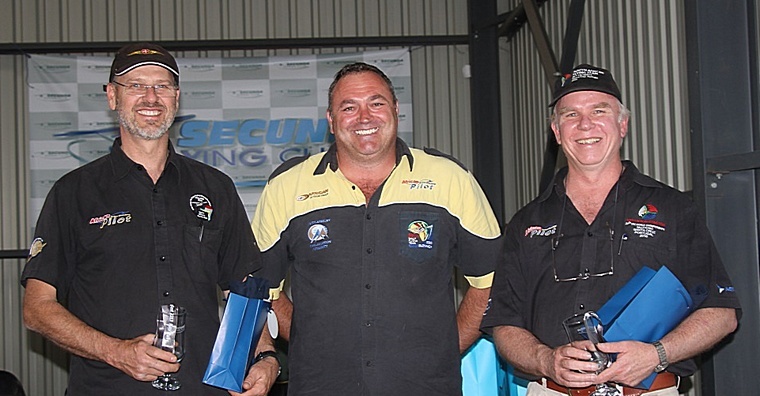 After all the scores were tallied, the prize-giving ceremony was held inside the hangar next to the clubhouse, where the first three places and prizes went to JP Swart and Jan Jacobz who were in 1st place with a total of 65 penalty points, Johan van Eeden and Cor Esterhuizen were in 2nd place with 100 penalty points and Riaan Kamffer and Jaco Groenewald were in 3rd place with 212 penalty points. Each of the three clubs taking part were in the top 3 showing the competition was stiff between them. This year, Ermelo Flying Club took the club prize. A live track event on Google Earth was also set-up, and with sufficient time, 7 of the 12 entrants were tracked, and could be watched on the ground by spectators in the event hangar, and at least these 7 all had very good tracks. There was only one unlimited entrant, that of Rob Jonkers and Martin Meyer scoring 70 points under unlimited rules of a 2 second window at each turning point. We look forward to Secunda Flying Club organising a rally again next year, and gathering more clubs in the region to take part.